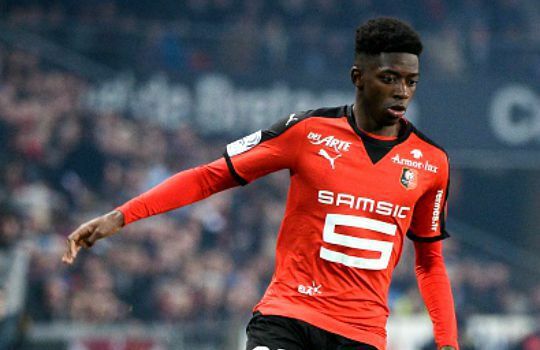 Manchester United officials have watched Ousmane Dembele in action for Rennes against Lyon on Sunday night, according to the Daily Mail. The 20-time English champions are widely expected to be one of the busiest clubs in the coming transfer window this summer following a disappointing start under the Dutch manager Louis van Gaal. However, it remains to be seen whether LVG will still be in charge at Old Trafford, but the arrival of new players acquisition are likely to be happen for the Red Devils as the summer window approaches. According to the newspaper report – United representatives have scouted the 18-year-old Frenchman in action as the Premier League giants look to re-shape their squad this summer. Dembele has scored nine goals in 20 appearances for the Ligue 1 outfit in this season and is already attracting interest from the host of European clubs including Barcelona, Arsenal and Bayern Munich.